A world without Celine Dion would be a far, far, far better place. But let’s hold that one for later. For years my growing dissatisfaction with residential designers rest on the modern abandonment of the seemingly simple rule of architecture that form should follow function. Function has blown the coup. Once inside, household residents are often left out of that Titanic lifeboat to shiver in the dark waters of oblivion and eventually perish into the Atlantic Ocean. Worse yet would be having to ensure a continued sound bite from the Celine Dion songbook. Given that choice I’d gladly be the first one to jump headfirst into the water. Actually every time that melody starts to climb it’s way into my head, my reaction is to jump in front of a speeding bus and end it all. No cheap imports or cars for me – go big or go home. Still, out of the movie house and heading home, the concept of two story townhouses, row houses or the sadly termed semi-D (now this is not a new DJ but refers to two houses build back to back and connected at the hip) has prospered on a tradition of living, dining and kitchen areas below and sleeping areas or bedrooms on top. When you look at the way most people live, they tend to spend more time downstairs then up, because that is where designers have ring fenced them. Yet why are the good views, great breezes and premium lofted ceiling left to the darkness of sleep? 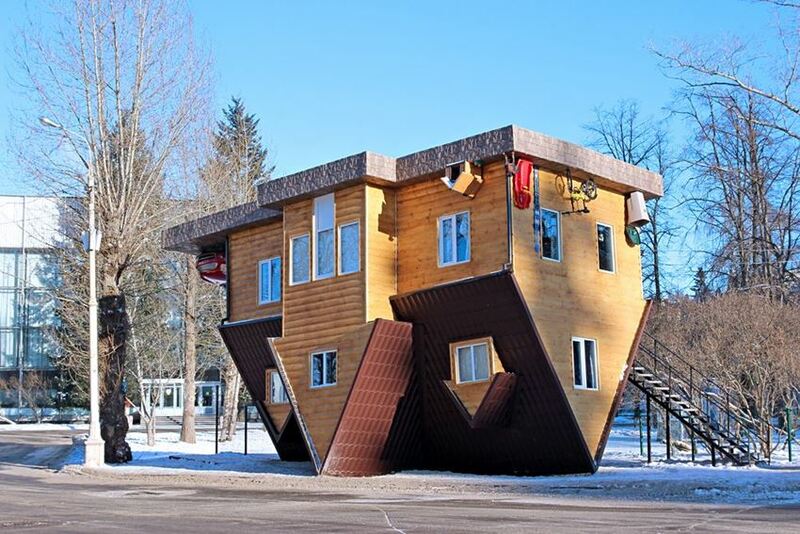 Perhaps the distraction of dreaming about a better life could be avoided if the house was turned upside down. I can understand the point for older folks so they don’t need to walk up and down stairs but for the larger populace it’s a far better point to enjoy the daytime in lovely spacious surroundings as the big sleep only gets closer by the day. That, or else opt for a single story house. Loft designs make even less sense and the number of un-functioning bedrooms propped upstairs with designer type floating stairs that have no railings just boggles my mind. If you want real adventure, try popping into the downstairs bathroom after a few too many drinks or else a suffering from a hangover. It’s either that or well, you know what the alternative is. In a nutshell, and I’m not speaking about one of those deformed peanut casings or the lot, I’ve gone straight to rock hard walnut city. Designers should take a step back and though aesthetics are pleasing, prioritize the living element of the legacy townhouse. For God’s sake we are nearly at 2020 and thankfully Celine Dion has been cordoned off in Las Vegas, and will doubtfully not be making a comeback anytime soon. Right the wrong now and turn upside down.